Although phentermine is the most widely-prescribed weight loss medication in the US, pharmaceutical companies are continuously trying to develop and market new weight loss drugs to help fight America’s obesity epidemic. One such drug is Contrave, which was granted approval by the FDA in late 2014. Here we explain more about this new weight loss drug, including its ingredients, how it works, and who it is suitable for. Contrave is the third weight loss drug to be approved by the FDA in 2 years, following the approval of both Belviq and Qsymia in 2012. Contrave is manufactured by Orexigen Therapeutics Inc., a biotech firm based in La Jolla. Contrave is a combination of the drug bupropion – an antidepressant and anti-smoking drug – and naltrexone, a medication prescribed to treat alcohol and opioid dependence. 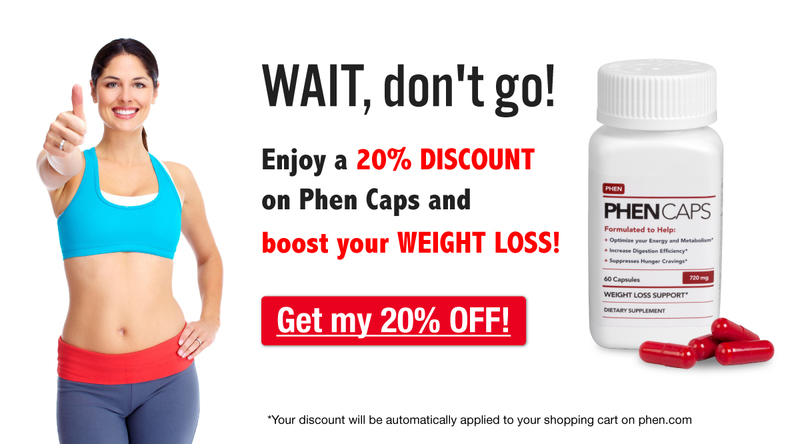 Like phentermine, Adipex and phentermine combinations such as Qsymia and Phen-Pro , Contrave is intended to be taken along with a low-calorie diet and exercise regime, and is approved for use by obese and overweight individuals with a BMI of over 27. However, Contrave is also specifically aimed at overweight and obese individuals also suffering from a weight-related condition such as high blood pressure or type 2 diabetes. The combination of bupropion and naltrexone in Contrave targets the pathways of the central nervous system which influence food intake. Bupropion inhibits the re-uptake of dopamine and norepinephrine while also activating neurons in the hypothalamus to result in a loss of appetite and an increased energy output, much like the mechanisms seen with phentermine as it works to suppress appetite and boost energy. The addition of naltrexone to the bupropion causes these effects to be amplified while the combination of these two drugs also manipulates the ‘reward’ processes in the brain, effectively lessening food cravings. Contrave was first entered for approval before both Qsymia and Belviq, but was rejected by the FDA in February 2011 as the FDA were not satisfied with the extent of their testing. Orexigen were told that their application would be reconsidered if they sponsored a clinical trial which demonstrated that obese patients taking Contrave did not have a significantly higher risk of suffering a heart attack, stroke, or cardiovascular death than those who did not take the drug. Understandably, since the mistakes made with Fen-Phen in the 1990s and the many deaths that occurred as a result of insufficient clinical trials, the FDA were not prepared to take risks when approving new drugs and therefore refused to approve Contrave without a large-scale study into the long-term cardiovascular effects of the drug. In order to fulfill the request set by the FDA, 9,000 obese patients at higher-than-usual risk of cardiovascular disease were enrolled in the study and randomly assigned to one of two groups; patients were either given Contrave or a placebo pill. Forty percent of the participants had type 2 diabetes, and virtually all were taking medications for hypertension, high cholesterol, or both. After 87 cardiovascular ‘events’ took place among the participants enrolled in the trial, the investigators explored whether strokes, heart attacks or cardiovascular death among those taking Contrave were within the boundaries set by the FDA as a preliminary target. That is to say, some patients enrolled in the clinical trials did experience further cardiovascular problems while taking Contrave but as this participant group were at a higher-than-usual risk of these problems occurring, Orexigen had to assess whether the percentage of patients demonstrating these problems were within the limits set by the FDA to approve the safety of Contrave as a prescription weight loss medication. They found that this number of cardiovascular ‘events’ was within the FDA’s limits and therefore, in November 2013, Orexigen announced that it had reached the initial target set by the FDA, and therefore resubmitted their proposal to launch Contrave in December 2013. What Did Clinical Trials Into Contrave Show? With respect to weight loss results, the FDA report stated that the weight-loss differences between those taking Contrave and those taking a placebo for around one year were ‘of nominal statistical significance’, which does not sound particularly promising. However, the performance of Contrave did satisfy an additional measure of effectiveness that the FDA required; in all four trials, more than a third of participants lost at least 5% of body weight while taking Contrave. Furthermore, in one of the four trials, two thirds of participants lost more than 5% of their body weight, and on average, approximately half of the participants achieved more than 5% weight loss in the other three trials. Mike Narachi, the president and CEO of Orexigen defended these results, explaining how the percentages don’t always take into account the potential for individual success, saying, “You have to look at how that person improved from baseline and how many people had a shot at a good result. As many as half of obese patients may respond poorly to Contrave, but responders have shown solid weight-loss results, with a quarter of ‘responders’ in a final round of trials losing an average of 43 pounds.” Essentially, while average results across large groups of participants may seem disappointing, for those who respond well to Contrave, the difference could be very significant. Narachi added that conversations with primary-care physicians – the doctors most likely to prescribe weight loss medications such as Contrave – indicated that they were sufficiently satisfied with these results to prescribe the drug. What Are The Side Effects Of Contrave? Contrave has a number of contraindications due to the side effects it can cause. Contrave can cause seizures so it must not be prescribed to patients with a history of seizures. Contrave can also raise blood pressure and increase heart rate, therefore it must not be used by patients with uncontrolled high blood pressure. Contrave should also not be used by patients with a history of eating disorders such as bulimia or anorexia, patients who are pregnant, nor anyone currently taking an MAOI (medications associated with the treatment of depression and Parkinson’s disease). Due to the medications it is comprised of, Contrave should not be taken by patients who are also taking opioid pain medicines, those who are taking medications to stop opioid addiction, or those who are in opiate withdrawal. Additionally, the medication bupropion, which is one of the ingredients in Contrave, comes with a specific warning from the FDA alerting healthcare providers to an increased risk of suicidal thoughts and behaviors associated with antidepressant drugs. What Should I Expect If I Am Prescribed Contrave? Trials determined that the most effective daily dose of Contrave is two (8 mg naltrexone and 90 mg bupropion) tablets taken twice per day, totaling 4 tablets each day. However, for the first three weeks you will build up to this dosage; upon initiation, you will begin with one tablet each day for one week (a quarter of the recommended daily dosage) and then one pill will be added to the prescription instructions each week until the full recommended dosage is reached on week 4. Your doctor should carefully explain the risks and side effects to you, and that, although rare, signs of mood and behavioral changes should be reported immediately due the potential risks of suicidal thoughts and behaviors associated with the antidepressant bupropion. Your doctor should also explain more about your chances of success while taking Contrave; as a new drug it is difficult to compare it to established medications such as phentermine but it would seem that it is a drug which can offer new hope to those with existing health issues such as high blood pressure or type 2 diabetes. Lastly, as with all prescription medications we would urge you to take Contrave exactly as it is directed in your prescription and to not increase or decrease your dose, nor mix it with any other medications without first speaking to your doctor. Have you been offered Contrave by your doctor? Or are you currently taking Contrave? If so we would love to hear from you, so please let us know your experiences by commenting below. I\’ve been on Contrave for 2 weeks and have only lost 1 lb. is this normal. It\’s discouraging. We haven’t had any feedback from anyone taking Contrave so we’re not sure of the typical losses you’d see with this weight loss drug. However, if this were with phentermine, 1lb in two weeks would be considered slow, especially at the start when changes to your diet and water intake tend to make the initial losses more than in the following weeks. Did your doctor explain how much weight you would expect to lose, and did he or she give you a diet and exercise plan for you to follow? I tried it and had terrible headaches. I quit taking it after a few weeks because the headaches were so bad. Thanks for your feedback Daniel. We’re sorry about your experience with Contrave, but we hope you can find another method to lose weight which suits you better. I’m switching from phentermine to contrave. Is there an amount of time I should wait in between? Not that we know of, but it would be best to check with your doctor first before starting Contrave just to be sure. Good luck, and it would be great if you could let us know how you get on with Contrave as we haven’t had much feedback from other users on what it’s like. Thanks! I was on Contrave and it worked, if you work out as well. Unfortunately, it stops, i have not lost any additional weight in 6 months but have put a little back on. I am switching to phentermine, hopefully it will help. Do people taking contrave have sleeping issues? I am very restless at night. I’ve been taking Contrave since mid January. The first few week I was very nauseated, but it went away. I am at times constipated, so I have taken a laxative, I’ve lost 21 pounds. I feel pretty good, it’s only been a month and a half, but I’ve had great results. My Dr Gave me a script for Contrave, He said that his opinion was that Phentermine would kill me. I could afford Phentermine, but can not afford Contrave. Hi Vanessa.Your weight loss is very impressive! Did your PCP give you a script or did you go to a weight loss Dr.? Would also like to know if you joined the contrave scale down program. Again congratulations on your life changing weight loss. I’m having a hard time finding a doctor in my area to prescribe Contrave. It gave me a list of doctors but none will take me? Contrave is still a relatively new weight loss drug when compared to well-known medications like phentermine, plus it can be expensive and might not be right for you in particular. Have these doctors been willing to prescribe any weight loss medications for you, or were you given a reason as to why they wouldn’t prescribe Contrave? Ok I have been on this for 7 weeks and I have lost 41 pounds it is unreal take two in morning and two at dinner I have not one side effect at all it does curb your appetite just not hungry at all I would say go for. Go to their website and fill out a few questions and you pay 92.20$ instead of 294.00$ I am 53 years old and have tried all that Walmart diet pills just they sell that’s all a joke try this Contrave you cant go wrong. I took Phentermine and lost 60 pounds in 6 months. Many years and two kids later I am now trying Contrave. Been taking it for 3 months and have not lost a single pound. I am switching back to Phentermine. Took Phentermine about 7 years ago, lost about 40 lb. Started on Contrave, yesterday. A bit skeptical thinking of being it as effective as Phentermine. The pills are huge, comparing to Phentermine, hard to swallow. Insurance covers Phentermine, Contrave is not covered at all. My doctor gave me a saving card from Contrave informational brochure, so the price adjustment for one month supply dropped from $149 to $90– one month. (kinda pricey still) The brochure says you have to take it for 3 months to see results. With no coverage $502 – 3 months supply, with Contrave savings $287. Hi Help! Your doctor and pharmacist would be the best people to help you find another medication that works better for you. In the meantime, you may be interested in learning more about phentermine (although it is not advisable to consume alcohol while taking phentermine) or other prescription weight loss drugs. Can a person take both phentermine andcontrave at the same time? You will have to consult with your doctor. Data suggests that it is very risky to mix bupropion (Contrave) with phentermine, as it could lead to seizures or other health problems. I read that Contrave can cause a false negative on a urinalysis for methamphetamine. Is this true?